(1) TOWARD A MORE GRAMMATICAL HELL. McSweeney’s John Rauschenberg explains it all to you in “Dante’s Nine Circles of Hell, Reimagined for Linguistic Transgressions”. One half of this circle is populated by souls who are cursed to make arguments that nobody cares about except their own mothers, howling gorgons and the infernal mistresses of hell. The other half are cursed to make arguments that nobody cares about except their own mothers, howling gorgons, and the infernal mistresses of hell. The difference between these two situations seems to matter a lot to both halves. Neither side will listen to you when you suggest that they could avoid this level entirely. (2) EVEN PIXAR. The Hollywood Reporter’s Kim Masters, in “John Lasseter’s Pattern of Alleged Misconduct Detailed by Disney/Pixar Insiders”, says that longtime Pixar CEO John Lasseter has been suspended following sexual harassment allegations. Rashida Jones is still credited as a writer on Toy Story 4, the next installment in the beloved franchise. But, sources tell The Hollywood Reporter, the actress and her writing partner at the time, Will McCormack, left the project early on after John Lasseter, the acclaimed head of Pixar and Walt Disney Animation, made an unwanted advance. Jones and McCormack did not respond to repeated requests for comment. Disney declined to comment on the alleged incident though a studio source said the departure was over “creative differences.” Multiple sources spoke with THR but asked not to be named out of fear that their careers in the tight-knit animation community would be damaged. Based on the accounts of former Pixar insiders as well as sources in the animation community, the alleged incident was not an isolated occurrence. One longtime Pixar employee says Lasseter, who is well-known for hugging employees and others in the entertainment community, was also known by insiders for “grabbing, kissing, making comments about physical attributes.” Multiple sources say Lasseter is known to drink heavily at company social events such as premiere parties, but this source says the behavior was not always confined to such settings. (3) MELTDOWN AT LITTLE ROCK’S COSPLAY CON. PopCultHQ extensively covers last weekend’s most disappointing event — “Chaos at Cosplay Con & Anime Experience #CCAE2017”. November 17 & 18th was the weekend for the Cosplay Con and Anime Experience in North Little Rock, AR. This convention didn’t have a stellar list of top-name celebrities, but it had a good line-up. Their headliner was Ciara Renee from DC’s Legends of Tomorrow. Other guests included Cig and George from SYFY’s Faceoff, Joshua Monroe from Cosplay Melee, and actor/voice actor Robert Axelrod. Ticket prices weren’t bad for a new convention. The day of the con weekend passes were only $30, Friday passes were $15, and Saturday were $25. 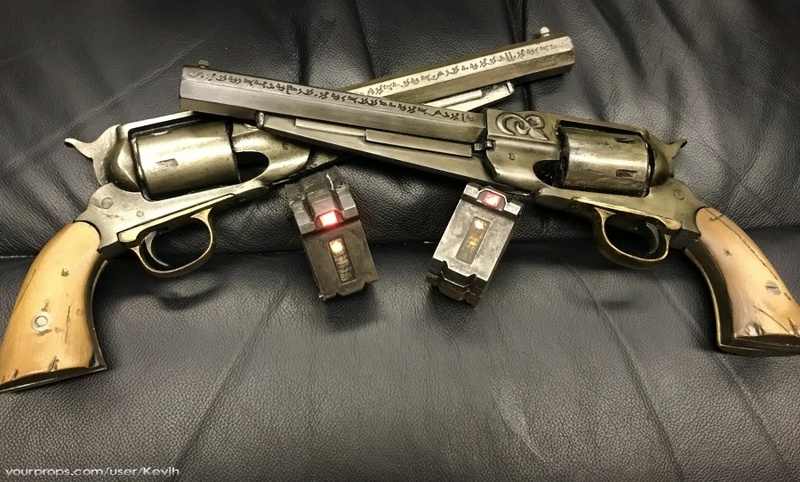 The article delivers a paragraph or more about each bulleted complaint and accusation, largely gathered from the victims’ Facebook comments. (4) FOR CERTAIN VALUES. Camestros Felapton dissects the moral values of the new Netflix series in “The Punisher – An Artfully Crafted Moral Vacuum”. But this is not a general review. What I wanted to discuss was the wisdom of making the show in the first place. I certainly had my doubts when it was announced and it was also clear that Marvel were nervous about making a show centered on a character defined by his gun-fueled killing sprees. While any of the TV/Movie versions of Marvel characters have some scope for re-invention, The Punisher has to act as a one man extra-judicial death squad. A plot line can expand his motivation or show other aspects of his character and he doesn’t even need his distinctive skull logo but sooner or later if he doesn’t kill lots of bad guys then he simply isn’t The Punisher. …But this fourth space for superheroes to occupy for non-otherworldly threats poses problems for Marvel (and for DC). This vacuum was eluded too but not examined in Captain America: Civil War. Captain America’s stance not to sign the Sokovia Accords was not well examined or explained. Instead, the rightness of his stance is largely just assumed as an extension of Steve Rogers own integrity. That manages to just about work in that film so long as you don’t pay too much attention to it but on closer examination Rogers really has to choose to be either an agent of the state or a vigilante. If you call yourself ‘Captain America’ then you can either be a soldier employed and held accountable by the state or your indistinguishable from a nutty ‘militia’ hiding in a compound and plotting against the BATF. The Punisher series gets this. It really is genuinely aware of these issues – mainly because they become unavoidable when your central character uses military equipment to murder criminals without trial. (5) TRANSHUMAN. C.P. Dunphey’s The Year’s Best Transhuman SF 2017 Anthology is out from Gehenna & Hinnom. C.P. Dunphey, critically acclaimed author of Plane Walker and editor of the bestselling Year’s Best Body Horror 2017 Anthology and Hinnom Magazine¸ has collected 25+ stories from the best up-and-coming authors in science fiction for Gehenna & Hinnom’s sophomore collection, The Year’s Best Transhuman SF 2017 Anthology. 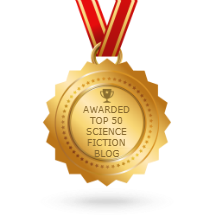 From veteran award-winning authors like Julie Novakova, to popular horror authors like Chad Lutzke, the anthology presents no shortage of entertaining, mind-bending science fiction. (6) THE REST OF THE FOOTAGE. Ethan Alter, in the Yahoo! Entertainment story “Steven Soderbergh Reveals The BackStory on His Viral Lucasfilm Rejection Letter”, interviews Soderbergh, who says the rejection letter from Lucasfilm (reported in the Scroll awhile back) was for some short films Soderbergh sent them and he’s actually not surprised that Lucasfilm rejected the films. Soderbergh adds that the short films in question didn’t have any science-fiction elements, although one of them told a story that might have resonated with the director of the nostalgia-drenched teen classic American Graffiti…. (8) MISSING KIT REED. One of the writer’s students tells about how he kept in contact with the author: “Alexander Chee on the life, work and loss of his mentor, Kit Reed” in the LA Times. The first day of Kit Reed’s advanced fiction class, sitting in the yellow Victorian house I would come to know simply as “Lawn Avenue,” was my first time for so many things. I had never been taught by a professor in her own home, for example, and I remember I couldn’t stop looking at it all. I had never been in a home full of that much art, or with walls painted white or black, or in rooms full of chrome furniture, Lucite lamps, and mirrors— there was an offhand glamour to it all that I loved from the start. This was the kind of home you hoped professors at Wesleyan University had, or at least I did, and I sat nervously, excited, aware that I was lucky to be there as she listed off her rules for the class. We had to turn in 20 pages every other week—she ran the class like a boot camp—and she told us never to call her before noon, as she was writing and wouldn’t answer. Another first: I’d never had a professor tell me I could call at all, and I don’t know that any of them ever did tell me, besides her. It never occurred to me to call my professors outside of class. Her willingness to accept a call was an openness to another kind of connection and conversation with us, one that, for many of us, would go on for the rest of the time we knew her. (9) BEWES OBIT. Rodney Bewes (1937-2017): British actor and writer, died November 21, aged 79. Genre appearances included Alice’s Adventures in Wonderland (1972), Jonah and the Whale (1975), Jabberwocky (1977), The Spaceman and King Arthur (aka Unidentified Flying Oddball, 1979), Doctor Who (two episodes, 1984). (10) CASSIDY OBIT. David Cassidy (1950-2017): US singer and actor, died 21 November, aged 67. Genre appearances included The Flash (one episode, 1991), Kim Possible (voiced one episode, 2004). (11) REESE OBIT. Is playing an angel considered genre? From CNN: “Della Reese, ‘Touched by an Angel’ star and singer, dies at 86”. For nine seasons on CBS, Reese played Tess on “Touched by an Angel,” tasked with sending angels to Earth to help people redeem themselves. (13) GENRE WHIFF. Poul Anderson always advised writers to engage all five senses. But what is a signature science fictional smell? “Ellis Brooklyn’s “Sci Fi” perfume convinced me, a fragrance monogamist, to switch scents”. 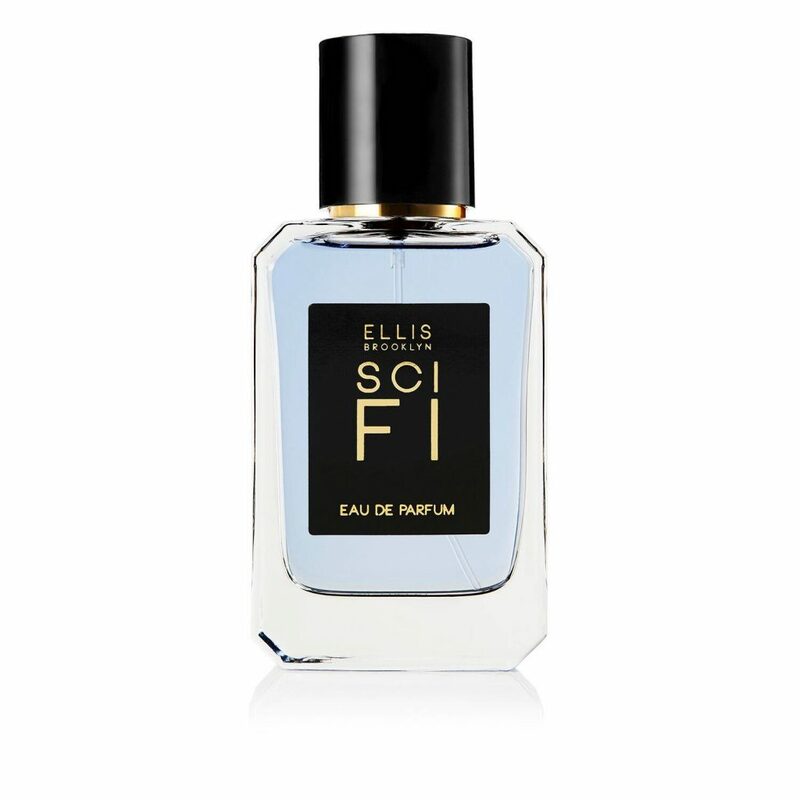 I tried “Sci Fi” from Ellis Brooklyn. Everything about this perfume is intriguing. The name, the packaging, the fact that it’s vanilla but in no way smells like what I imagined a vanilla-forward scent to be. When I think of “vanilla perfumes,” I think of the Body Fantasies body spray I bathed myself in during middle school. But Sci Fi’s vanilla is something utterly different. Sci Fi, like a Ray Bradbury novel, pulls you in and confounds you. It begins with notes of vanilla bean, swirls into a cloud of orange and freesia, and then finishes with a bright smack of green tea. One day of wearing Sci Fi and I knew this was my next scent. I was making the switch. (14) DISHING ABOUT THE DISH. NASA Watch has the good news: “NSF Decides Not To Shut Down Arecibo”. (15) COSMIC STOGIE. You’re not from around here, are you — “Bizarre shape of interstellar asteroid”. These properties suggest that ‘Oumuamua is dense, comprised of rock and possibly metals, has no water or ice, and that its surface was reddened due to the effects of irradiation from cosmic rays over long periods of time. Although ‘Oumuamua formed around another star, scientists think it could have been wandering through the Milky Way, unattached to any star system, for hundreds of millions of years before its chance encounter with our Solar System. (16) MANSON, HUBBARD AND HEINLEIN. Click-seeker Jeet Heer finds them this week with “Charles Manson’s Science Fiction Roots” in New Republic. …As vile and sociopathic as he was, Charles Manson did have a gift for absorbing the zeitgeist, which is one reason he held such a powerful sway over the cultural imagination. Manson picked up Stranger in a Strange Land in the same spirit that he learned to strum a guitar and offer exegeses on Beatles lyrics. It was a way for him to ride the wave of cultural change. Manson remained infamous all these decades not just because he inspired mass murder, but also because he did so by manipulating some of our most powerful myths. (17) BAD LUCK. Wrong place, wrong time? A civilian’s frustration at trying to shoot the demolition of the Georgia Dome — “‘Move bus, get out the way! '” (video). An unlucky camera operator waited 40 minutes to film a stadium demolition – but was thwarted at the last moment. (18) VIRTUAL MOVIE MUSEUM. Yourprops.com is the “free online museum for your movie props, costumes and wardrobe.” There are myriad photos of movie props (original and replica), wardrobe (original and replica costumes), production used items (crew jackets, shirts and gifts, storyboards, artwork, etc.). For example: “The Dark Tower, Hero light up Breaker Kid’s Devartoi Watch”. (19) WHEN NORTH MEETS EAST. At Adweek, see “Sensei Wu Saves Santa, Who Saves Christmas, in Lego’s Fun Holiday Ad”. Lego Australia is out with a largely winsome addition to the Christmas advertising pile—a stop-motion animation about a Lego Santa finding his way home to save Christmas, thanks to a little surprise help from a spirited stranger. The minute-long spot from CHE Proximity opens with a Lego North Pole—or Lego Christmas Town, as the brand calls it—set on a living room floor. It’s abuzz with holiday activity, when a human-Godzilla foot comes crashing down on the blissful scene, causing a specific Lego reindeer to squirt very specific Lego poop in fear—graphic sound effects included—while general catastrophe ensues everywhere.